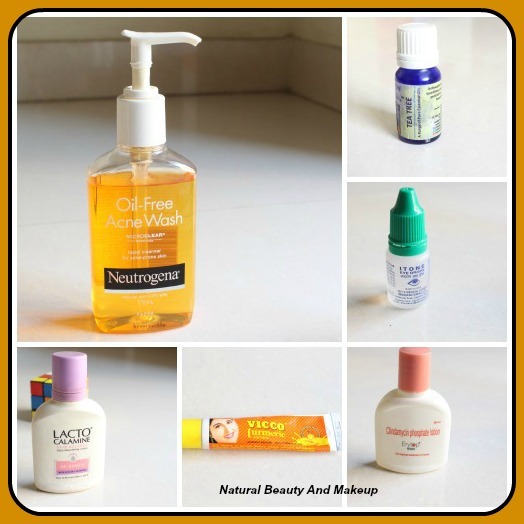 Natural Beauty And Makeup : How To Reduce Pimples And The Scars – My Tricks! Such a true and beautiful description of autumn! But sadly this season is going to bid us goodbye as winter is knocking at the door. I just love this festive season. Autumn has its own unique charm, but my skin has lost its charm and I do not see any positive sign to regain it back in the near future also! I am in my late 20’s, so can’t expect that much I know. Well ladies today, I’m going to share with you all, the mistake which I did last year with my skin. A mistake – say a BLUNDER!! Insane me! Though I tried to rectify it hardheartedly, but all went in vain, until I decided to follow a strict beauty regime with a proper healthy diet. My Mistake: - During last year Durga puja, my father bought me a Bengali magazine as usual to read. In that magazine, I found some sachet supplements of sunscreen gel, that too of my favourite brand. I thought of trying that before buying the actual product. I knew that, magazines supply these beauty products for experiment only, so I used that on my face to see its effect. Oh My God, I can’t tell you how much badly it reacted on my skin. After a few days, pimple started popping here and there on my cheeks, that too cystic ones. Until this stage, I had never ever suffered from pimples/acne. You can say, I inherited good skin from my parents, since neither my parents nor my sister had ever met these devils! Honestly during that period, I lost my self confidence. My skin looked horrible! To see my face in the mirror was difficult, since those scars used to make me more saddy but I took a stance to fight it back. Whatever I could do, I did. If you fall under the same situation like me, do try these tricks. I’m going to name each product here as well as briefing their actions also. I have a combination skin, a little on oily side and have a medium skin tone. I used to rinse my face with Luke warm water and NEUTROGENA FACE WASH. Post wash I used to apply homemade neem toner (Boil a handful of neem leaves in water, make a tonic). No scrub at all. Got good result with this face wash.
Do not scratch or touch the pimples, since I did that mistake during that period! I don’t know why I could not restrain myself from touching them. PLEASE avoid this, it is really harmful! Go for bare or minimal makeup, if possible. Or else, you will end up inviting more devils at your door!! Always keep your skin clean and fresh. On a day out, I used to keep cleansing wipes handy. I read somewhere in the makeup blog that, eye drops are even good for acne. True. I used ITONE EYE DROPS on the zits. It gives a cooling sensation, much relaxing thing for those irritating pimples! How could I forget my best soldier, the TEA TREE OIL! Its actions are superb and immediate. Best bet for cystic acne. Now to counter the pigmentation problem, I used LACTO CALAMINE, OIL CONTROL lotion, just on the zit spots. It acted effectively in diminishing the scars. Another cream, which I used was, VICCO TURMERIC skin cream. I’m in love with this. Now Home remedies which I applied to remove the scars were BUTTER MILK & SANDALWOOD POWDER. Mix sandalwood powder with rose water and apply this pack on the spots. Buttermilk works well in lightening the scars. Drink lots of water. I didn’t follow any strict diet though, apart from avoiding junk food. No butter, no ghee and no other oily food. You might be wondering why I didn’t go to any Dermatologist. Well, a point came when I desperately wanted to meet the doctor, but my mom suggested me to wait for some days and to keep a check on these remedies. My skin was improving by then, so I didn’t visit anyone. This thing happened to me in mid October last year and I was about to meet my to be husband for the first time in December 1st week, just imagine what was going through my heart! I was panicked and used all the remedies one after another for sooner recovery. But by December, I got a much clear skin; we met in Kolkata and got engaged then and there. These tricks are my bet and I still use them to combat acne. When I came to Pune after marriage this year, again pimples with other skin issues started hitting on me. Pimples do not attack only during teenage, they save their time to scare you at the adult stage also. In my case, it was my fault or silliness because of which now I’m facing various skin issues. I regret for this truly but please make sure, YOU DO NOT DO THE SAME BLUNDER EVER IN LIFE! For experiments, use the product on the leg area or on the back, but never on the FACE! Hope, you find my article helpful, thanks. Do You Have Any Other Tricks Apart From These Ideas? If Yes, Then Do Let Me Know In The Comment Section Below.